Somewhere along the way, I was told that the sign of a great song was that anyone can sing it. They may have meant that anyone can sing it and the song will withstand the interpretation. Having once seen a clip of various lounge singers across the nation performing When Doves Cry, I’m not sure where I stand on the whole thing. Then, Postmodern Jukebox popped up with this performance of one of my favorite songs. I’m just saying that I was reminded why I love the Talking Heads. The potential to be an idiot lurks near at hand all the time. My college house hosted a theater party one night. I don’t remember the occasion. Some theater people, perhaps most, like to take the room every now and then. I was more of the stand by the record player and control the music type-of-guy. Two such people do not always do well at a party. Another likeminded individual sidled up and started flipping through the record collection. He wanted to play Psycho Killer. For someone who wanted to manage the music, I was lousy with song titles. If he had mentioned the Talking Heads or gone “fa fa fa,” then I had a chance. Plus he was creepy and he was mouthing the words “psycho” and “killer.” He found the record and played it. Naturally, we hit it off, though I always eyed him suspiciously. Living in Pittsburgh for the summer, I met a girl and somehow ended up going to see one of the Christopher Reeve Superman movies. We took a city bus. This was back in the day of boom boxes. Someone sat down, plopped down this massive beast of an audio system and began playing his tunes. The strangest music emanated throughout the bus, like bubbles bursting all across the windows. Then this guy started talking about life. I thought that was what all the cool people in the city listened to. The girl rolled her eyes as I recall. I don’t know if that was at an expression on my face. On the cusp of adulthood, I knew that a lot of rock bands had supposedly struggled with maturity and what it all meant for them as artists and people. Most of the artists discussed, however, had passed well beyond the cusp. They no longer spoke to me any more than my parents did. 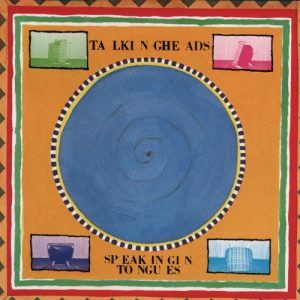 Then the Talking Heads released Little Creatures, which pretty much sustained me for a few years, especially that last song which pretty much encapsulated everything I felt about life at that time. You’ve Got to Check This Out is a blog series about music, words, and all sorts of artistic matters. It started with an explanation. 68 more to go.